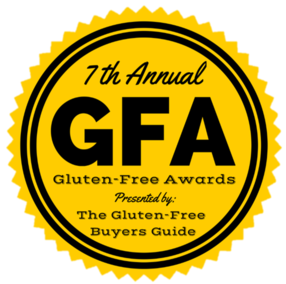 The GFA’s are similar to the “People’s Choice Awards” but strictly for the gluten free industry. All award winners are chosen by consumers through public voting. The results are published in “The Gluten Free Buyers Guide“. This year, there were 83,310 individual responses from 3,102 people within the gluten-free community. We are honored to have won and placed in many categories! 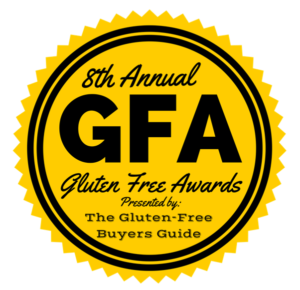 A record 152 recipients of the 7th Annual Gluten Free Awards were announced in the 2017 Gluten Free Buyers Guide. 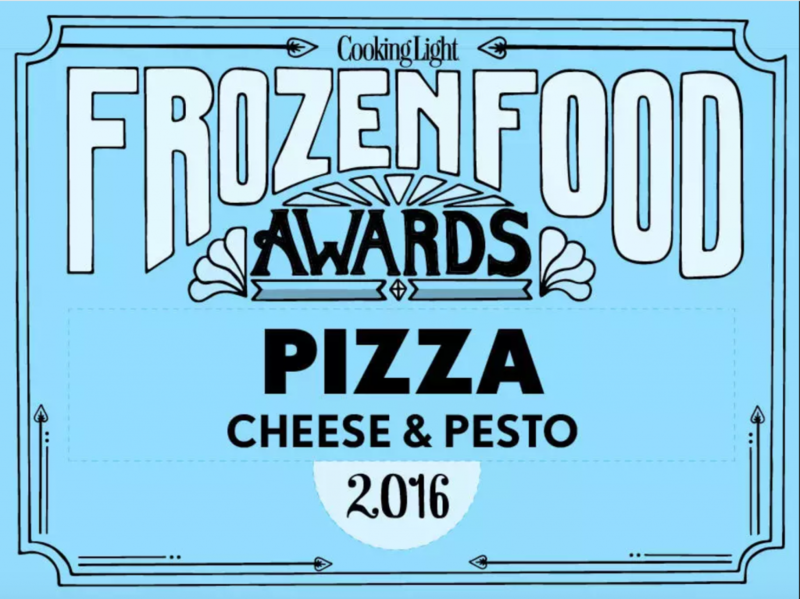 The winners, chosen by 3,527 people on a gluten free diet, comprise the best in gluten free for the year 2017. The voters produced 96,128 individual responses breaking last year’s totals and created the highest engaged GFA event to date.